There is no surer cure for the heady rush that comes with buying a new car than when that service reminder light first pops up on your dashboard, signalling your entry into a confusing world of financial pain that lasts the life of your vehicle. And that's because automotive mechanics are like the grease-stained Freemasons of our time: a secret-society engaged in mysterious and murky goings-on understood only by the chosen. Because who really knows what happens when your car goes behind that roller door? And just what are these strange and notoriously expensive fluids that keep popping up on your bill? Liquified diamonds? But the world's car companies have taken huge steps to address this problem, because they really rather like you buying their cars. And because they know that expensive servicing costs can be the make or break of whether you buy their product, or someone else's. The basic premise behind these programs is to shine some much needed light onto the dark world of car servicing costs, adding transparency to a part of the car ownership adventure that sorely needs it. In the past few years, manufacturer warranty periods have grown, while fixed price servicing or capped price servicing schemes (or variations of them) have been introduced by almost every major car company. The basic premise behind these programs is to shine some much needed light onto the dark world of car servicing costs, adding transparency to a part of the car ownership adventure that sorely needs it. And that is very good news for owners. But not all programs are created equal, so read on for a breakdown of the programs and offers, and what each might mean for your wallet. What is capped price servicing? Capped price servicing is a broad industry term referring to a type of servicing program offered by most manufacturers, in which the maximum cost of each scheduled service is revealed ahead of time, instead of when you're handed a bill. 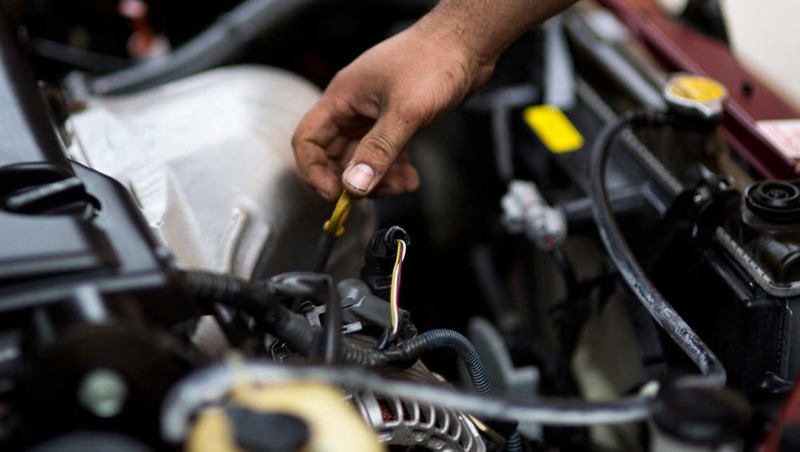 The details vary, but the basic framework remains the same: A manufacturer publishes a transparent servicing program that covers a pre-determined portion of your ownership period, be it three, six or five years, or even the life of your vehicle. Your new car will arrive with a servicing schedule (the maximum amount of time recommended between servicing) which is a number of months or a kilometre reading, whichever comes first. That number varies from brand to brand. Volkswagen, for example, requires a 12 month/15,000km service interval for its new cars, while many Toyota models require a trip to the service centre every six months or 10,000kms. The fine print is key: some don't include key fluids, like brake fluid, coolant or oil, while others are valid only for the warranty period. Where the "capped price" part comes in, however, is that both Volkswagen and Toyota's customers can find out exactly what each of those services will cost before they even buy a car. For how long your services remain transparent is up to the manufacturer. In VW's case, it's the first six years, while for Toyota customers, it's the first three. Some manufacturers allow you to prepay your servicing costs at the time of purchase, so you can bundle them into your finance deal, while others lay out exactly what each service will involve, including what parts and labour will be required. These programs can be known as capped price servicing, fixed price servicing or menu priced servicing, and the fine print is key: some don't include key fluids, like brake fluid, coolant or oil, while others are valid only for the warranty period. Equally, some manufacturers reserve the right to change the price of some parts of their programs, be it the labour rate or the cost of things like oil and coolant. So it's best to check the current price before you book your car in. Regardless of the program, though, fixed price car servicing can only be a good thing for car owners, putting an end to that service centre bill shock once and for all. Every brand in the top 10 best-seller list in Australia now offers some kind of fixed or capped price servicing program, but the offering from each varies massively. We've broken down each brand's program below based on how many years they should cover, but if you drive a lot of kilometres and require servicing more regularly, you might run out of capped services sooner. And be sure to check with your dealer as the following may have changed, or may not be applicable to the type of vehicle you're buying. Toyota: The Japanese giant was the first to introduce a fixed price servicing scheme with the launch of its Toyota Service Advantage. Depending on the car you buy, the program covers the first three or four years of ownership, capping your annual service costs at somewhere between $280 and $720. Mazda: In 2014, Mazda rolled out its Mazda Service Select across its entire range of vehicles, increasing service intervals to 12 months and introducing a capped price servicing program that lasts the lifetime of your car. Owners can go to the Mazda website, type in their registration or VIN details, and find out exactly what each service will cost. Holden capped price servicing: The Aussie manufacturer has also joined the lifetime bandwagon, but with a cool twist. For Holden, capped price servicing has been expanded to cover every vehicle it has ever sold in Australia, meaning owners of everything from a 2016 Captiva to a 1957 Holden FE can hit the brand's website to work out what their next service will cost. Hyundai: Hyundai also offers a lifetime capped price servicing scheme, with customers able to enter their make, model and kilometres online to receive a quote for the required service. The Korean brand also allows you to either prepay, or pay-off in monthly instalments, all servicing costs for the first three, four or five years or ownership. Hyundai's sibling Kia also offers a capped price servicing scheme, which runs for seven years - the same length as Kia's class-leading warranty period. Mitsubishi: Mitsubishi's capped price service program covers the first four years of ownership. After that, you're on your own. Ford: Ford capped price servicing falls under its Service Price Promise, an online calculator issues a service quote (the most you'll pay) that is valid for 30 days from when it's issued. It covers all Ford vehicles built since 2007. Nissan: Nissan capped price servicing - the Service Certainty program - covers six years of ownership, regardless of whether your vehicle requires servicing every six or 12 months. The program doesn't include brake fluid, which is an extra $30 as and when it's required. Volkswagen: Like Nissan, VW's capped price servicing program covers every new passenger vehicle sold, and runs for the first six services - which should cover the first six years of ownership. Subaru: Subaru's capped price program covers three years of ownership or the first 75,00kms, unless you've opted for the drift-happy BRZ, in which case you're covered for 60,000kms only. Honda: Honda's website allows you to select your model, before punching out basic service costs for each scheduled service over the first five years. It's tricky, though, as the price given is the 'base price' and you're then asked to add 'adaptive items' like dust filters, spark plugs and brake fluid - all of which are required intermittently. Have you had experience with capped price servicing plans? Tell us about it in the comments below.